Exposed to all weathers year after year, sash timber windows take quite a beating. They can last for decades if you just keep them clean and protect them with a coat of paint. Sash cords and pullys may wear out over time. The attached weights will fall to the bottom of the case if the cords snap, making it difficult to open the window. 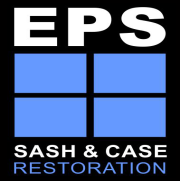 Over the years sash cords may have become subject to wear and tear and require replacement. Replacing existing shutters or panels can be costly and lose the character from your homes original interior. A more cost effective alternative is to professionally repair the shutters and panels, restoring it to its former glory. We can supply and fit any type of ironmongery for sash and case windows.